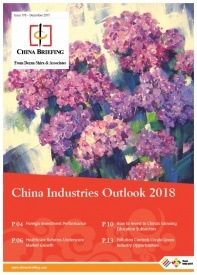 The Senior Care Sector in China: Is it Time to Think Differently? Foreign investors that would like to understand the senior care sector in China may find a comparison to the hospitality sector helpful. The hospitality sector boomed over the past 30 years as the Chinese economy grew and visitors poured in. Chinese real estate players rushed into the sector, and they absolutely wanted to work with well-known global luxury brands to develop the sector. Domestic investors were totally dependent on their Western partners’ management and operational know-how – there were no local culture or competence in the sector. As a result, global hotel brands had been given relative autonomy in how they operate their branded hotels in China. Global rating systems and training programs obligated Chinese owners to stick to their agreements. How does this compare to the senior care sector? The Chinese government has given foreign operators relative freedom to enter China, make investments in the senior sector, and operate their business. However, foreign investors found out that it is practically impossible for them to establish and operate care facilities on their own. Many then pursued models similar to those used in the hospitality sector: find a local real estate player, partner up, and take charge of the operation. But it’s starting to look like this model is not working out. Why? The hospitality industry is required to maintain a high-level of service that consumer expect from five-star brands. To meet these expectations, most Chinese owners are dependent on their global brand partners for guidance and support. In the senior care sector, however, many Chinese owners do not see this sector as a service driven, and they do not want to pay for support from Western companies. Rather, these owners prefer short-term operational support for two to three years before they establish themselves for independent operations. Many of the Chinese operators coming into the market are aiming for mid- to low-income level clientele. This is because the government just implemented a long-term care insurance policy in 2017 that guaranteed reimbursements from the state for many seniors. At this level, most senior clients tend to be at a late stage that requires support for most vital functions, and Chinese senior care providers seek to provide only very basic support and procedures for these functions. The senior care sector does not have global brands like the hospitality sector, which has well-established global brands that are household names. This means there are not as many best practices for the domestic senior care sector to adopt from internationally recognized best practices. Western seniors that opt for a high-end senior living community as their retirement option are used to an independent lifestyle, often in sprawling suburban neighborhoods. Chinese consumers, on the other hand, never experienced this lifestyle, and their current homes in dense, high-rise buildings are more conducive to senior living communities in an urban setting. Chinese consumers do not yearn for proximity to pristine nature; proximity to their children may often be a more important consideration. Chinese consumers’ willingness to pay for high-end care facilities is much lower than what many early investors initially anticipated. Consumers who are around 55 years old or more lived a majority of their lives during a very different economic environment than today. Even after they acquired wealth, they do not often allow themselves to spend for their own comfort. 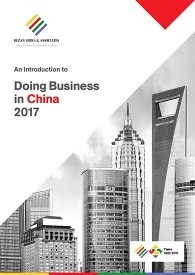 Most foreign investors that entered China a few years ago have now met a second wave of challenges: locating, hiring, training, and retaining talent. The biggest challenge lies in lack of central government defined senior care standards – both in the quality framework of centers as well as service and training standards. The existing training program for caregivers, which the government heavily subsidized, turned out to be not so effective; the programs generated certificate holders with little practical knowledge. Once the government realized its program was ineffective, it pretty much scrapped the existing certificate standards and matching training programs. Nevertheless, the government estimates that the market currently needs 13 million basic caregivers. A more acute need lies in training for managers that run facilities that are popping up everywhere – nursing homes, community centers, and daycare centers. This is one of the areas where foreign investors can find opportunities, if they develop a system that provides practical skills at low cost. China needs trained professionalism the senior care sector – managers, operations personnel, specialized nurses, caregivers of different competence levels – not to mention medical specialists such as gerontologists and geriatric doctors. Where does the future of the market lie? The middle-class population is more and more accepting of the idea of sending their parents to nursing homes. Health awareness is also improving fast for middle-class, middle-aged people. This group will demand professional services by caregivers who understand health, and they will be willing to pay more for professional services when the time comes. But this level of caregiving lies far beyond what is currently accepted at hospice-like care centers, which may not be much more than feeding, cleaning, and changing body positions to avoid bed sores. 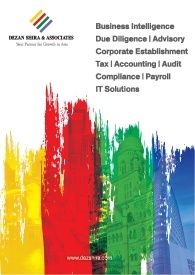 New demand in the sector will likely come in professional services. Professional service providers with specialized care will finally see the market demand – such as home care, post-surgery care, special therapy, and dementia care. A large number of middle-class seniors still live at home, but their children, who are often active professionals, and have their own children, are the primary customer group for professional senior care services. This group will demand more specialized care services, and many of them will be willing to pay for the services, whether at the home or institutional level. A bigger chunk of demand is likely come from the private domestic market. It is worth remembering the government’s mandate: 90 percent of the senior population will need care from their families, while the government will take care of the remaining 10 percent of the senior population. Does this mean that there will be market demand similar to the Western-style senior living communities? It’s unlikely. A number of insurance industry giants are heavily invested in the senior care sector in China. However, they are looking for further opportunities. Besides the government sponsored “long-term care insurance”, there are bound to be many private insurance products that can be created with a focus in the “aged care” in the as explained above. For investors to build their business for the senior market, it is essential that the government set policy and quality standards. Accordingly, things appear to be changing: more people are talking about an ‘integrated care solution’ and ‘quality standardization’. When these ideas pick up momentum, it will create new opportunities for a number of players in the insurance industry, as well as healthcare and senior care consulting. These opportunities will not come without their challenges. As the senior care sector grows rapidly, many expect the government to impose stricter standards and regulatory frameworks. Will they go for cumbersome regulations that will make this sector expensive to operate or will they opt for models that are more practical? Western companies can and should play a role in this process, and once such framework is set, it will create further opportunities for new and innovative products and services. Many Western companies are trying to use strategies that worked in their domestic markets, but they should think strategically to succeed in China: study the market thoroughly, think with clear vision, strategy, and business model, and localize by finding a good local partner or building a competent local team. It may not be easy, but the market is there. Nayoung Mathiesen is a serial entrepreneur with a professional background sourced from South Korea, US, Norway, and Singapore; she arrived in Shanghai in 2014. Currently, she runs her startup STIA, creating fun, interactive, bite-size digital training content for the Senior Care sector. STIA’s content provides training for caregivers as well as useful health information for seniors and their family members to maintain healthy and independent lifestyles. She also co-chairs the Entrepreneurship Committee at AmCham Shanghai. She can be contacted at nayoung@stiachina.com.